Packing can be a real nightmare. Especially if this is your first wilderness expedition. Here is a simple guide to some of the essentials we pack when going on an adventure holiday. Now… walking boots are different for each individual person. The aim here is to find something comfy, but this can be difficult to determine when you’re in the store and don’t have long to decide. However, you should make sure that when wearing walking socks they fit comfortably, not too tight around the heels and wiggle room for toes. 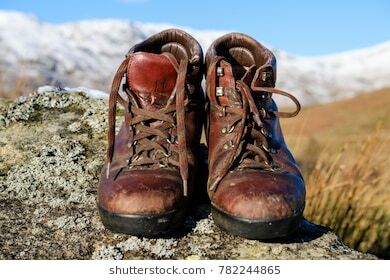 They should also have good ankle support for when you are walking on uneven ground, and make sure you check that your walking boots are listed as waterproof and not just water resistance, as this will become important when your crossing streams. You need to make sure your day rucksack, that you carry with you on each day outing, is both comfy and practical. You don’t want it rubbing and irritating you when you’re out on a long hike. Additionally, you don’t want it to start ripping when you are on the move. 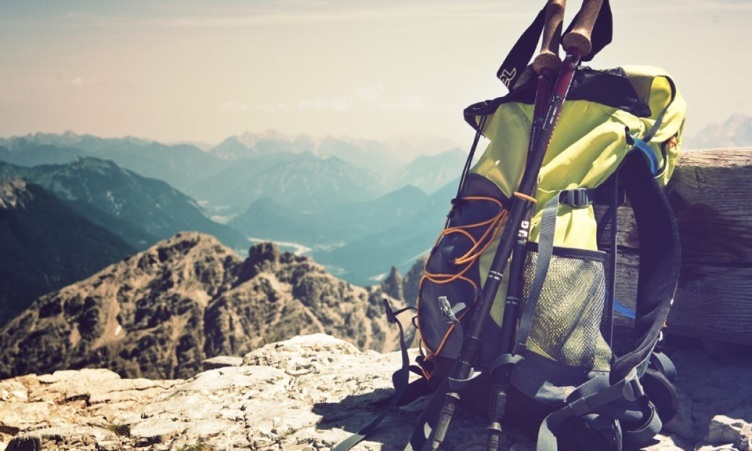 Therefore you should purchase a rucksack from a well-regarded outdoor/ adventure store, such as Go Outdoors and Cotswold company. These stores will have a huge range of rucksacks and people in store to help get you the perfect bag for your adventure. Different expeditions will require different raincoats. However a waterproof coat should be; light weight, wind protected and have enough room to be able to add layers underneath. All adventure and outdoor shops have a large range of coats in various colours, styles and prices! So, you will have plenty to choose from. 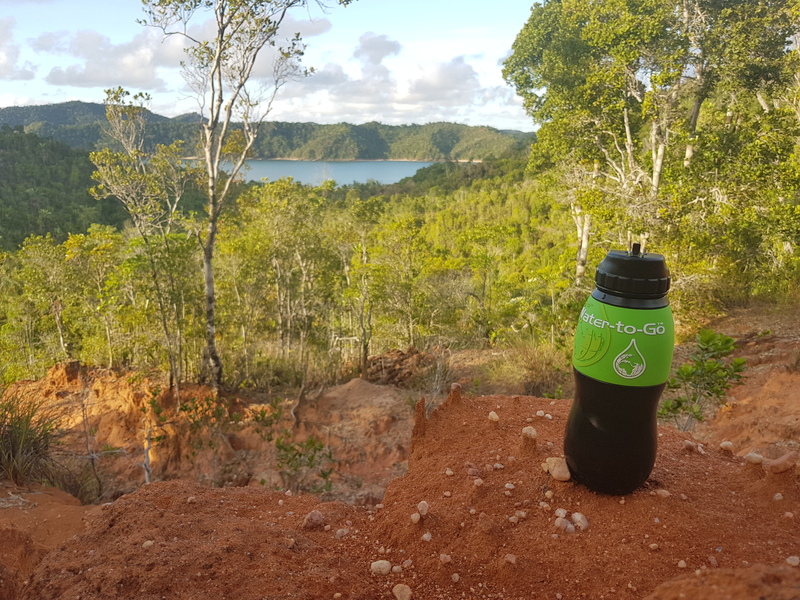 Water bottle purifiers not only put your mind at ease when drinking water in different countries but also reduce the use of plastic bottles, consequently helping the environment massively. 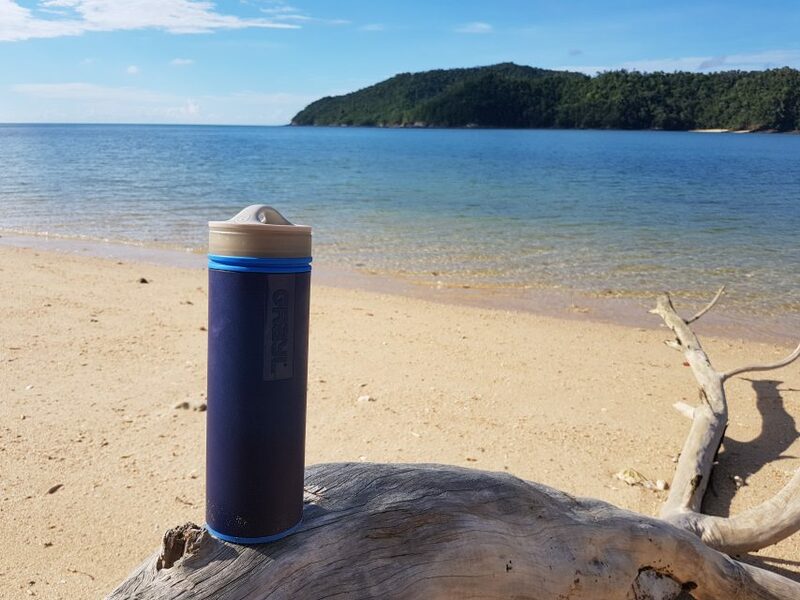 We have successfully tried and tested two water bottle purifiers in Madagascar and can recommend them. These are Water to Go and Grayl. Grayl is a well-known brand and has a range or water bottle purifiers that kill 99.999% of bacteria, viruses, protozoan cysts. Simply takes 15 seconds to purify 2 litres of water with just 1 press. This water bottle purifier is similar to a coffee press. However, this bottle is even smaller, containing 475ml. You might get through this quite quickly in hot countries, however, the fact you can fill it up where ever defeats this problem. The bottle is also very expensive. The filter cost $25 and needs replacing after just 150 litres of water. 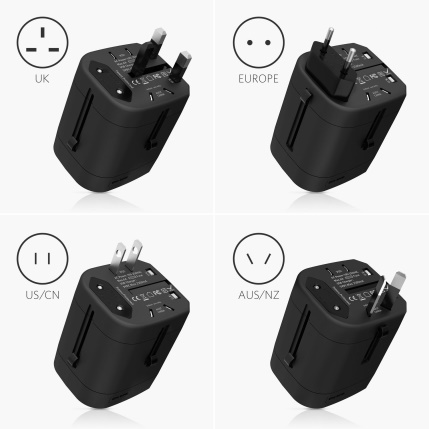 Amazon does an amazing all-in-one plug adaptor that can be used in over 150 countries, and at a very affordable price. These are also available to purchase at different stores as well such as; freedom travel gear, and gear best, but prices do vary. Price does matter. 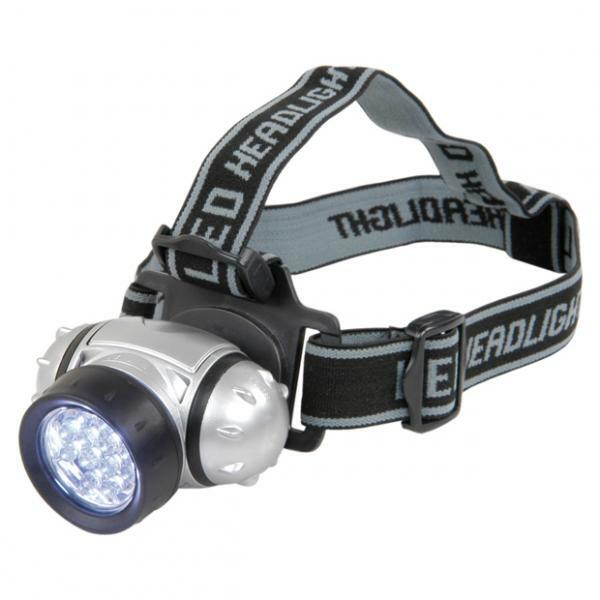 A cheap head torch will prove inefficient, and when you are out in the forest on a night walk trying to spot the nocturnal animals such as lemurs, you want a good head torch. Additionally, think about the battery and bulbs and their burn time. 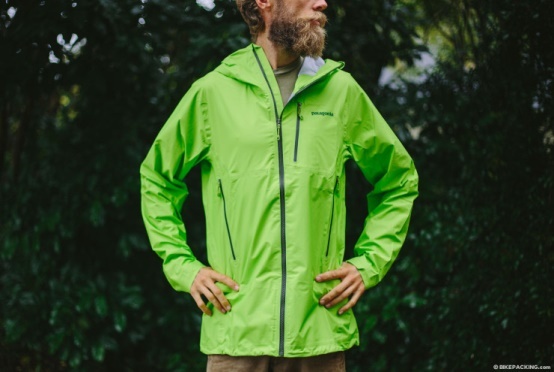 You want something that will give you long periods of light, however, bigger isn’t always better, especially when you are hiking for long periods and want a low pack weight. Finally, the ease of operation and the quality of fit is important. You want something that you can easily use in the dark. If you struggle to find the switch in the daylight then you will definitely struggle in the dark. It also needs to be comfy and fit your head properly so that it doesn’t slip when you are walking. Furthermore, think about getting a torch with a red light setting so that you won’t attract insects when going to the bush toilet at night. Little first aid kits are very useful when out and about in the wilderness. There are plenty available online that can contain as much or as little as you want. Just bare in mind that you are going to have to be carrying these everyday of your trip. 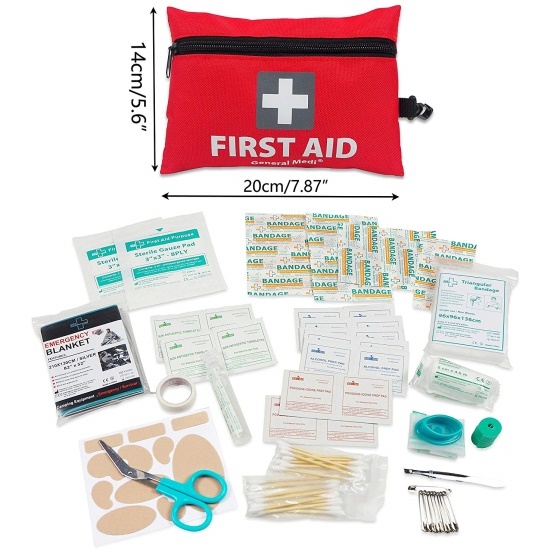 The suggested items you should have in your med kit are; any prescribed medication you need, waterproof plasters, blister plasters, general antibiotics, hand sanitizer, scissors, tweezers, cotton pads, burn gel and non-alcoholic wipes. Some expeditions will require you to take sleeping bags. But sleeping bags actually have different, sizes, shapes, weights, season ratings and temperature ratings. 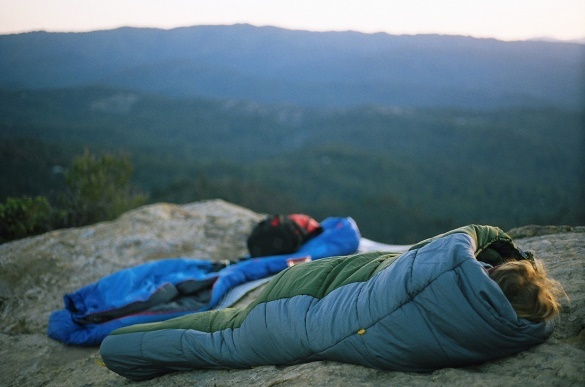 Meaning that different sleeping bags are designed for different activities and different seasons. Ask your tour operator for more information about your trip and the ideal sleeping bag. However, each sleeping bag will have the different rankings on the outside of the bag allowing you to easily identify if the sleeping bag is appropriate for the conditions and the time of year for your holiday. For many of our tropical holidays a sleeping bag liner is all you need and is much smaller to carry as well. When you are out in the wilderness, it is unlikely that you will have a reliable electricity supply at wherever you are staying. 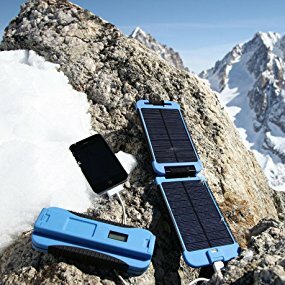 This makes Solar Panel chargers and Battery packs an ideal purchase. With solar panel chargers you get what you pay for. 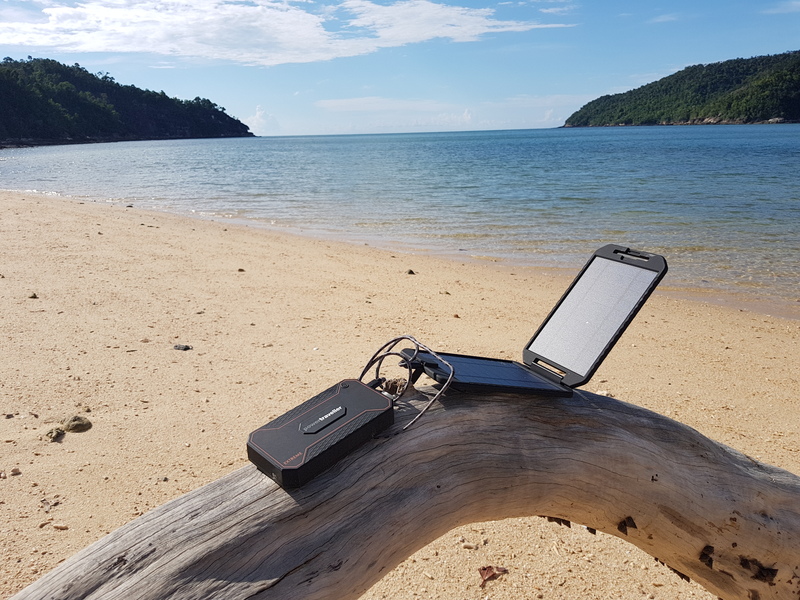 We have travelled using the Extreme Solar charger from Power Traveller and it proved very useful (especially when we were island hopping in Northern Madagascar. We had no electricity for 4 days but plenty of power for cameras and other electronics.